Ultra feminine and super sweet! 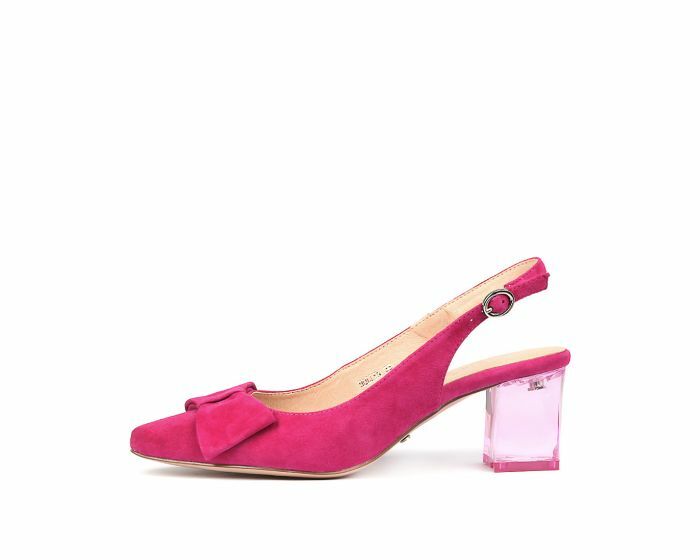 This perspex-heeled slingback is the perfect way to add a pop of sophistication to your wardrobe! Crafted from soft suede, with a cute bow detail at the toe, this is a poised and pretty option that's perfect for race events and weddings!